This was a spoof story on the back of the worlds first Cereal Cafe called Cereal Killers Cafe recently opening in London by two Belfast brothers (this is definitely a Belfast thing then). Anyway the spoof story went viral and was viewed and shared thousands of times on the internet to the point were it started becoming a real thing as people were believing it and more so than that people just generally took for granted that it was real. Within 2 days the lads who run the Ulster Fry website, suitably named Billy & Seamus, were contacted by a local cafe owner who ran a cafe in Belfast called That Wee Cafe. He approached the boys telling them he loved the idea and he could help them make it a reality… read the article here… and well the rest they say is history! 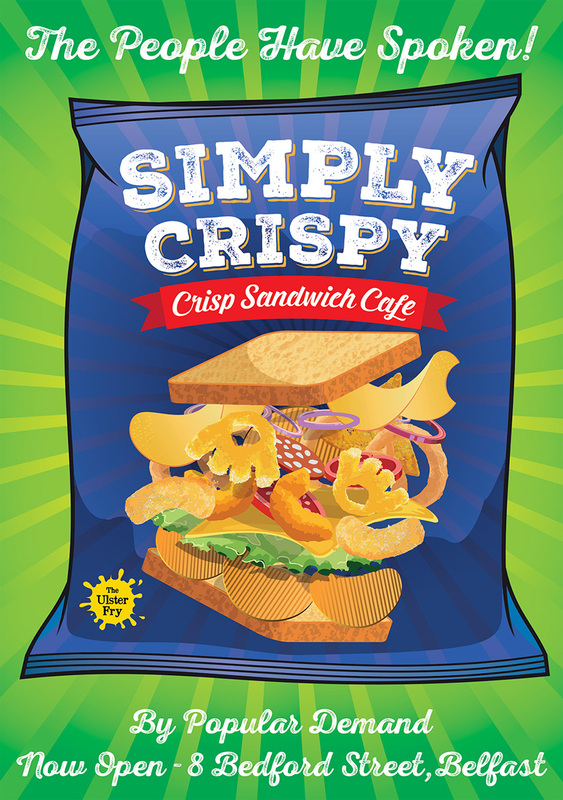 The same day Seamus contacted us at Wedfest looking for us to create branding for the Simply Crispy Crisp Sandwich Cafe and we were more than pleased to work on this (even though we had to go from concept to final design in about 55 minutes) but the results were beautiful and perfectly capture the essence of the famous crisp sandwich. 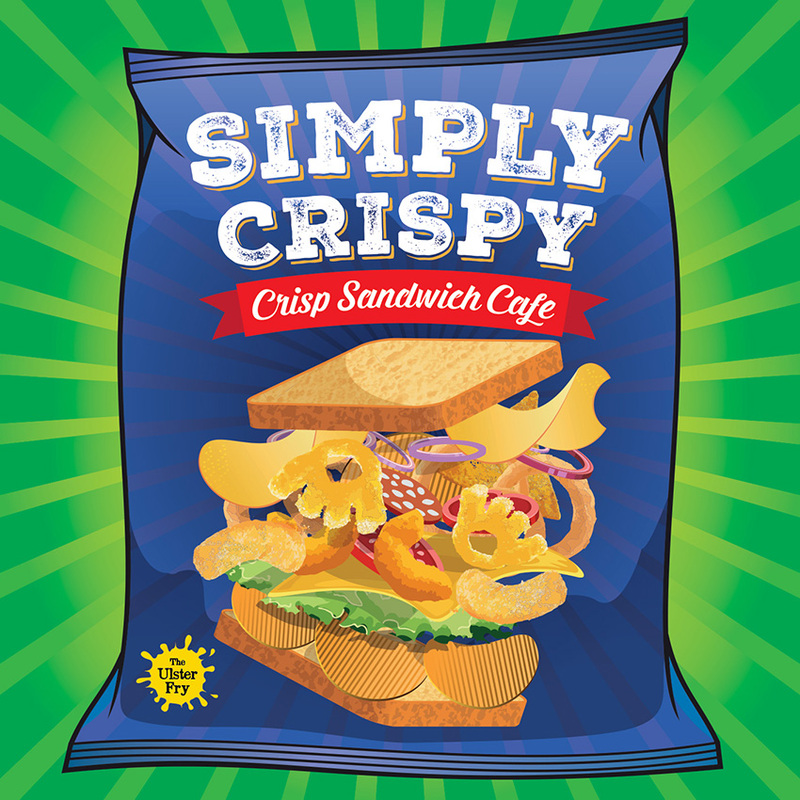 When we first heard the concept the immediate idea was to have the image of sandwich with famous crisp types such as Monster Munch, McCoys, Tayto Cheese and Onion etc. falling out from around the sides of the sandwich, we worked on this until it looked like a proper crisp sandwich with added cheese, lettuce, onions etc.. (of course every crisp sandwich differs but we only had about 55 minutes remember) For the logo we wanted to to use a type face that was strong and robust and something that you could image appearing on the top of of an actual bag of crisps and after trying about different fonts and layouts we settled on what you see below. This works perfect for not only the logo but transfers easily to all types of media and graphics, signage etc. 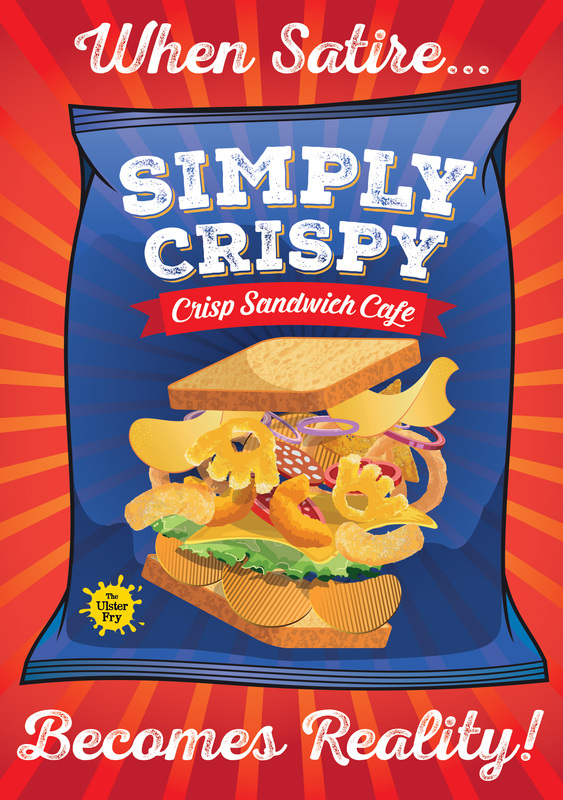 The last thing to do was to put the sandwich and the logo onto the crisp bag which would complete the branding of Simply Crispy and the results we are pleased to say worked an absolute treat as you can see below. The news of the cafe opening has went crazy all over the internet and media and has been featured in articles on the Metro, The Independent, Yahoo News, Belfast Telegraph and many many more news and entertainment websites. On the Lad Bible alone the story got over 13,000 likes and thousands and thousands of shares and comments, its safe to say the general public like the idea of a Crisp Sandwich Cafe. So whats next then? 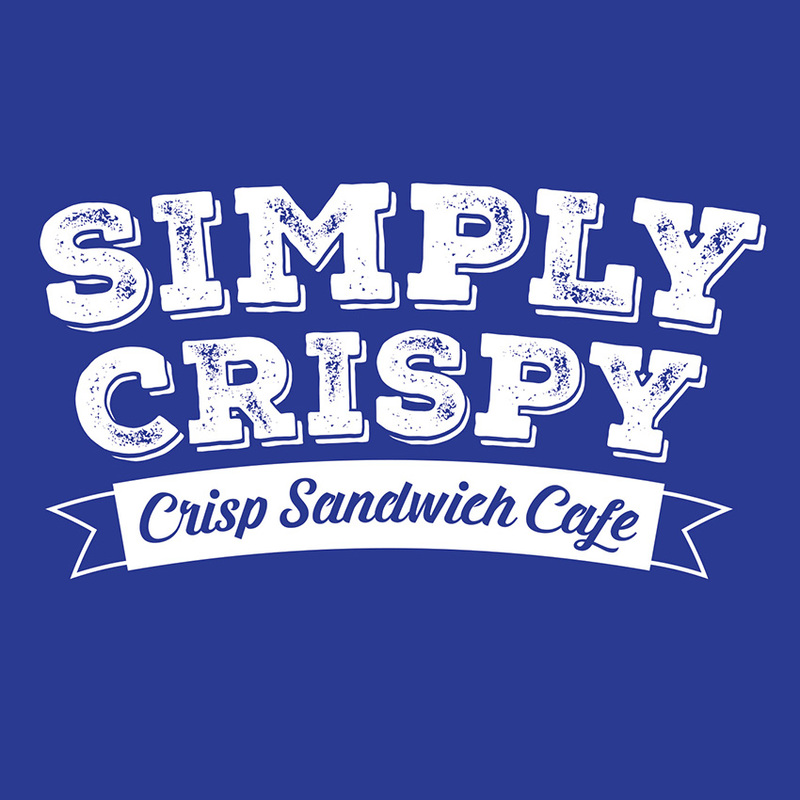 Well there is only one thing to know… the worlds first Crisp Sandwich Cafe opens tomorrow Monday 12th January 2015 at 8 Bedford Street, Belfast and we for one cant wait to get down there and join the queue! Good luck to Simply Crispy and all who munch in her!